A sick baby needs lots of love to bounce back to their normal smiles and giggles. 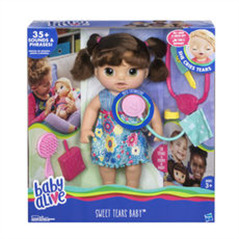 Kids can nurture the Sweet Tears Baby Doll to help her back to health. First, fill her "juice" box with water to feed her oh no! She cries tears that mommy or daddy can wipe away. 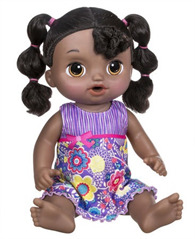 The Sweet Tears Baby Doll has an expressive face and responds to her accessories. 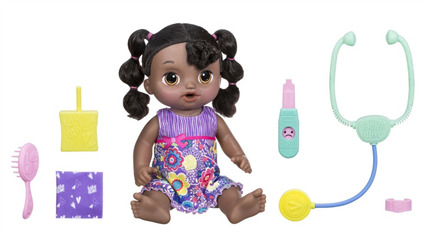 Kids can give Sweet Tears Baby Doll a check-up with the stethoscope and thermometer. Her nose lights up to let kids know she needs her tissue. 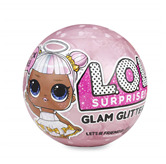 Pretend to blow her nose or bandage a pretend boo-boo. Flip the switch in her back to choose who she's speaking to she says "Mommy" and "Daddy" so girls and boys can play out nurturing moments. 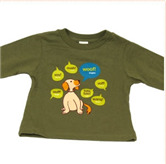 With 35 plus sounds and phrases in English or Spanish, she can tell kids how she's feeling and that she loves them! 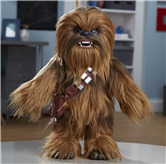 We see Hasbro's Baby Alive every year... and this year, things were different. The 2017 Baby Alive is more realistic, more adorable, and more fun to play with than ever before! Now your little niece may love playing Mommy, and your nephew may love playing Daddy, but there's no reason for a little to be limited in their role play. How about pretending to be Auntie taking care of her own little niece! Baby Alive Sweet Tears Baby Doll comes in three styles.